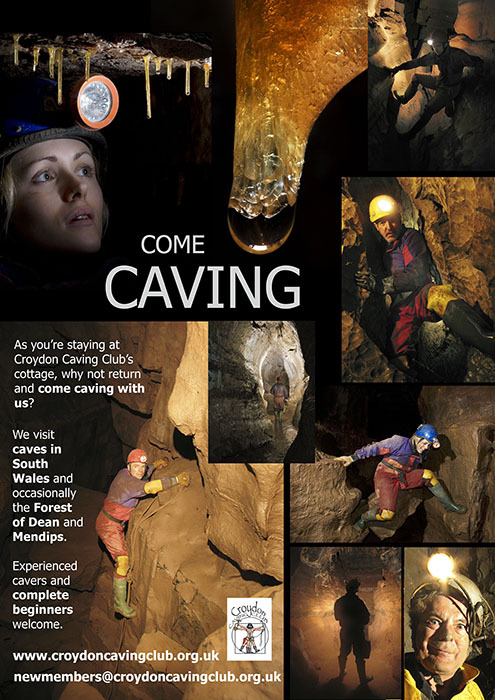 Croydon Caving Club welcomes new members whatever your level of experience, from complete novice to seasoned caver. If you’re just starting out, you don’t have to worry about buying an expensive set of gear as the club has some basics which you can borrow. See our caving page for more details on getting started. Additionally, BCA third-party public liability insurance is required - see http://british-caving.org.uk/wiki3/doku.php?id=membership:start for a full list of rates. BCA membership is available though the club.